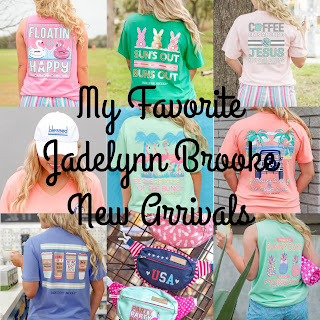 I am back with another post on Jadelynn Brooke's new arrivals! 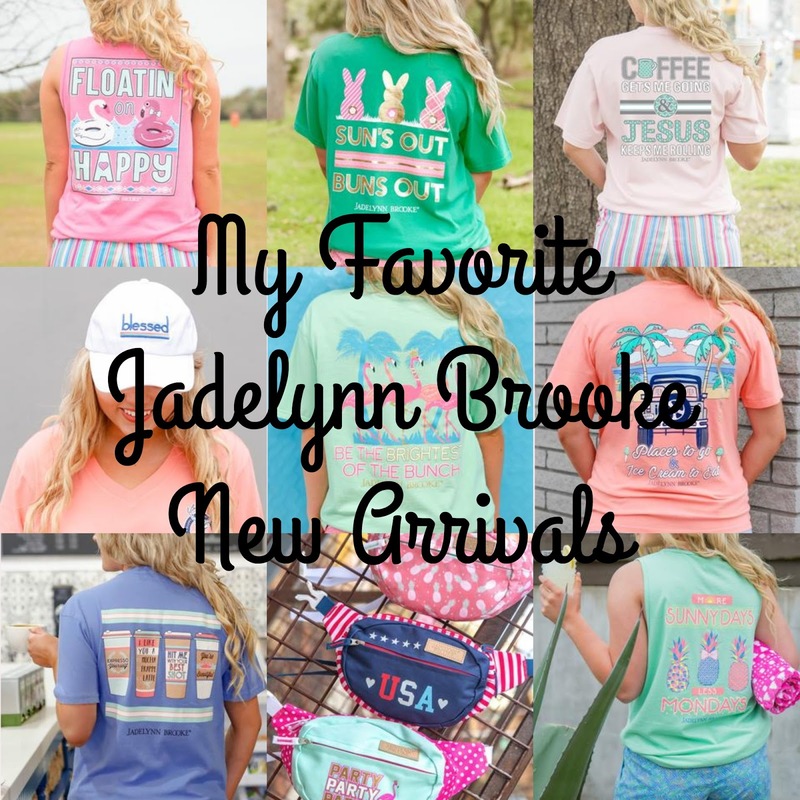 This is my second post on their new arrivals and you can click here to see the first, most of the items from that post are still for sale. 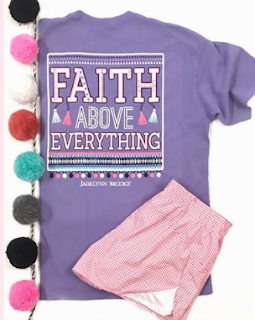 All of these items are perfect for back to school and I will leave a link to each item. Use my code SLMHS (in all caps) and it will take 15% off your purchases! JLB just released the amazing bow back leggings in three new colors: navy, gray, and black (my school colors!) and although I am not someone who supports wearing leggings as pants on the daily they are wonderful for working out in. I own the periwinkle and coral leggings and I love them. Just recently I have started wearing them to work out in and I definitely recommend them! 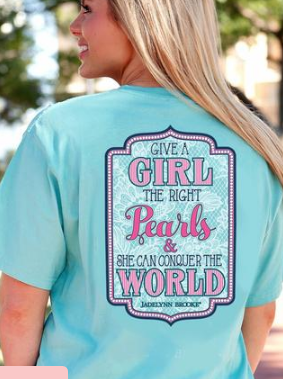 You all know how I love my pearls so when I saw this shirt I immediately fell in love! I love wearing JLB tees to school and this is one I would love to get before I go back to school. I wanted to purchase this tee for the Fourth of July but never got around to it. 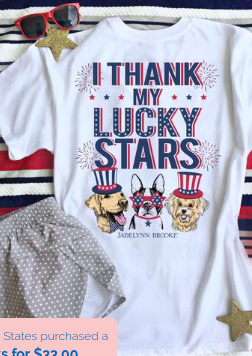 I love the dogs that Jadelynn Brooke has been featuring on a few of their shirts lately, they are so cute! 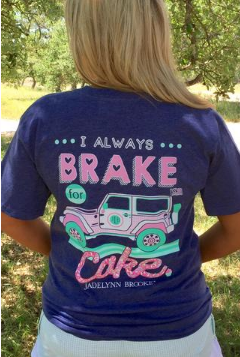 Jadelynn Brooke actually sent me this tee in a rep box the day they released it and I love it so much! This shirt has become the one that is immediately put on after being washed, I practically wear it on a weekly basis. 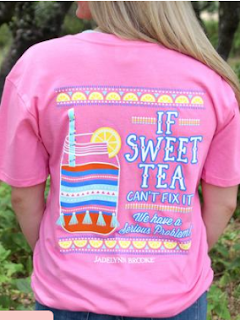 I love the color combo and all the detail put into this shirt. Like I said before, I love the dogs! 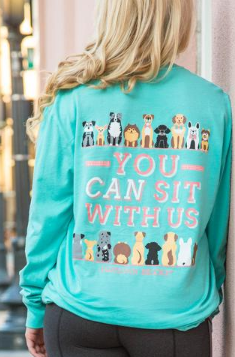 This play on a reference from Mean Girls is so cute! I love the color combo and the long sleeve is perfect for when it starts to get colder. I feel like they made this shirt for me! It should've been named after me! Sweet tea is pretty much the only thing I drink and this shirt speaks to me! I love the bright colors, the tassels, and the super cute mason jar! This backpack is so amazing! The price for the wonderful quality of this backpack is great, I wrote a post reviewing the JLB backpacks that you can read if you are unsure about purchasing one. 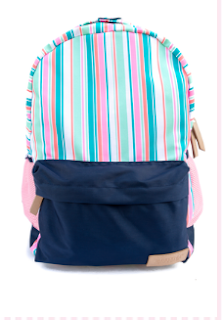 The printed part of the backpack is left blank so that you can have your name or monogram put on the bag. Although I hate the color purple, I love this shirt! The pink, purple, turquose, and white go so good together and I love the tassels! I talked about this tee in my Back To School Wardrobe Essentials post as well because I think it is always good to have some t shirts for back to school.